American business journalists have called her “The Philippine Tigress” and the “Wonder Woman of Wall Street.” It may be hard to believe that about Lilia Clemente when you first see her. But don’t let her diminutive stature fool you. Within five minutes, her sharp wit and analytic mind immediately burst forth… and despite standing less than five feet tall, she walks as fast as any New Yorker on the sidewalk with double her stride. 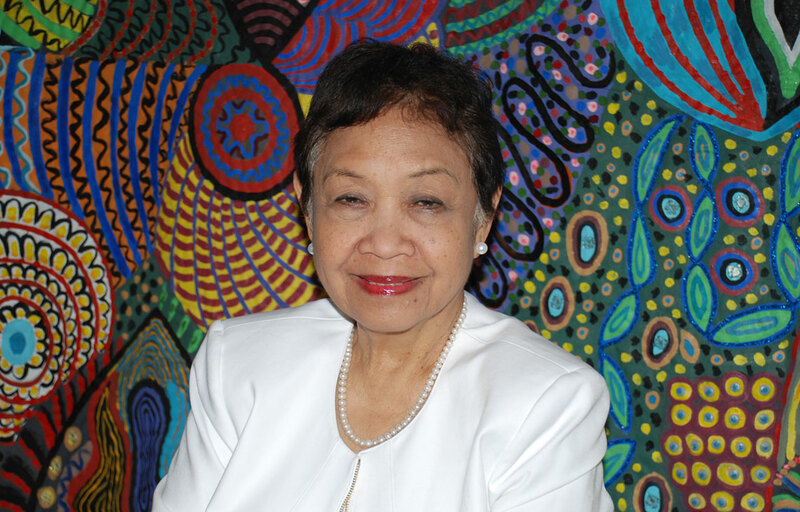 Lilia was born in the Philippines in 1940 to parents José and Belen Calderon, a wealthy and prominent couple living in the Luzon region. While the firstborn Lilia was raised with the comforts of wealth, her parents made sure she and her six siblings wouldn’t simply settle for a life of privilege. Lawyer José had grown up poor and was only able to finish his legal education through the charity of family. His unique expertise in mining cases paved the way for investment and eventual success in the metals business. The value of hard work was instilled early on. 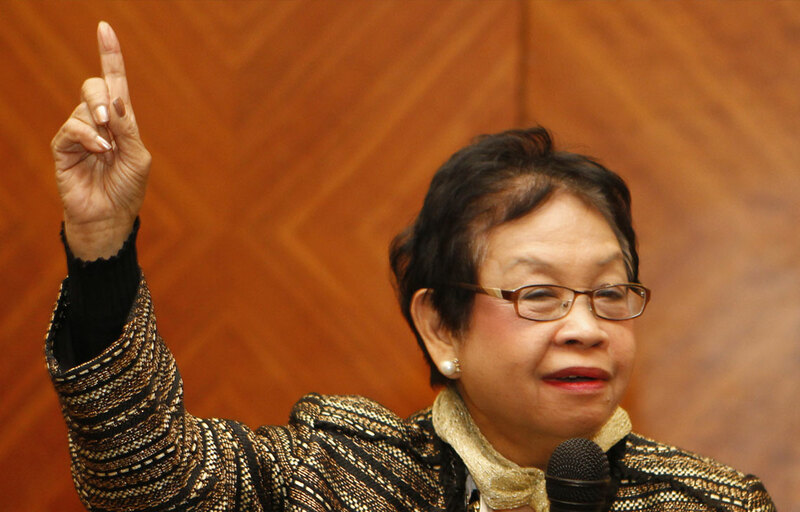 Lilia graduated from the University of the Philippines with a degree in business administration and pursued a master’s degree in agricultural economics and international trade at the University of Chicago. After marrying her high school sweetheart in the Philippines, she took an analyst job at CNA Financial Group and reached a senior position within a year, managing a multi-million dollar metals portfolio. Lilia eventually became the first investment officer at the Ford Foundation, paving the way for the foundation’s pioneering stake in emerging markets. Turning Ford’s investment eye to emerging markets was a bold move. Back then, capital flowed only within the developed nations. But Lilia pushed for it anyway, and she thinks it’s because she’s Filipina. This inherent global nature inspired Lilia to look beyond the safe investment harbor of the West and explore opportunities in burgeoning countries. One of her first big successes for the Ford Foundation was investment in Japan. She looked at the country’s economy and thought to herself, “aandar ito (this will move).” She was right. Business was also Lilia’s gateway to the women’s financial inclusion movement. When you ask Lilia about how she got involved in women’s rights, she answers another question. “Performance has nothing to do with gender or color.” Indeed, that’s why she likes investing so much. It doesn’t matter who you are as long as you’re good at it. Nevertheless, the women’s rights movement was underway around her. An old friend and political contact from the Philippines, then-Senator Leticia Ramos-Shahani, introduced Lilia to Michaela Walsh, founding president and CEO of Women’s World Banking. Lilia recalls how her friend got her involved, saying: “Lilia, you don’t involve yourself with women, you think it’s a waste of time. She lives by what she calls “the 4 S’s”: simplicity, stability, service and spirituality. They were indeed. Lilia was immediately attracted to Women’s World Banking’s mission to enable women to help themselves by giving them access to the capital they needed. She recalls seeking funding for Women’s World Banking in the early days. Banks were saying they had delusions of grandeur. Each woman in the group contributed what she could and, with a pot of $1,700 in 1977, Women’s World Banking was born. Lilia’s role was to ensure the organization’s financial stability, a feat she handily accomplished, turning their initial investment of $153,000 in 1983 to nearly $3 million by 1990. Meeting Michaela and Women’s World Banking also inspired Lilia to become an entrepreneur in her own right. She founded Clemente Capital, with a focus on investing in emerging markets, where she beat out hundreds of fund managers to land the California state pension fund account. At one point she managed a total portfolio of $1 billion. These days Lilia is looking beyond Wall Street. “I’m less involved in the business now. I’m doing other things,” she says. Senior employees have taken over daily management of Clemente Capital, though Lilia is writing investment briefs on emerging markets and looking at investments options all over the world. But her focus has shifted to impact investment, or what she calls, “profit with purpose.” She runs a foundation that works with agricultural producers, especially coconut farmers, in the Philippines to connect them to knowledge, technology and capital. Gayle Gatchalian is the Senior Associate for Knowledge and Communications at Women’s World Banking’s Knowledege and Communications team. She joined the team in 2012 and serves as the lead for the organization’s digital and content marketing programs.